Yellowstone Park is the most wonderful place to relax – even if there’s a 50 degree temperature drop from day to night! 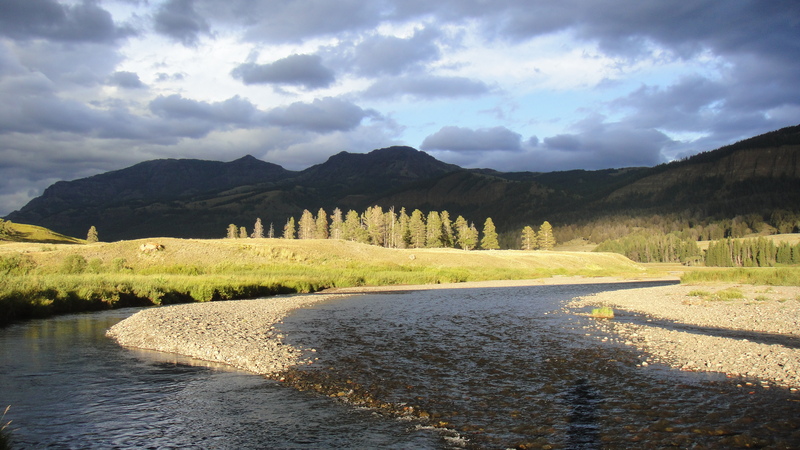 Here is a photo that I took at a place called Soda Butte, when I was taking a break from fishing. I was invited to Los Angeles to sing “The Wedding” for the film, Henri 4, which has been released in both Germany and the UK. I just learned that the soundtrack is now available, composed by Hans Zimmer and Henry Jackman and produced by Sony Classical – what a nice surprise! My summer ended on a high note, under Avi Stein‘s direction at the 4×4 Baroque Music Festival in Manhattan, NY. At the opening of the festival on August 27th, Avi directed “the music of German composers in the generation before Johann Sebastian Bach, including the work of an illustrious cousin, Johann Christoph Bach.” I was fortunate enough to perform Johann Christoph Bach’s “Ach, dass is Wassers gnug hätte” (“Oh, That I Had Tears Enough in My Head”). We got a great review in the New York Times! You are currently browsing the Ryland Angel blog archives for September, 2010.